WASHINGTON—Cansin Goldring traveled 10,000 miles to join a march in Washington on June 20. It’s an annual pilgrimage for her and one she is happy to spend vacation time on by flying over from Melbourne, Australia. 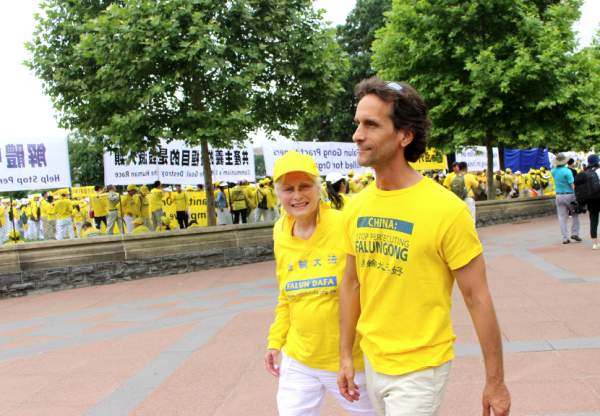 Goldring, a native of Turkey, started learning the spiritual practice of Falun Dafa (also known as Falun Gong) in 2001 after moving Down Under. Ever since Goldring took up the practice, she has also worked to spread awareness of its persecution in China. 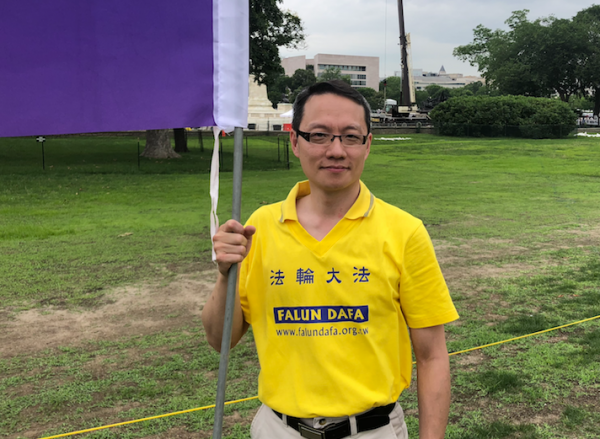 The Chinese Communist Party was initially supportive of Falun Dafa, but it grew so popular that, in 1999, then-Party leader Jiang Zemin felt threatened and vowed to eradicate it. 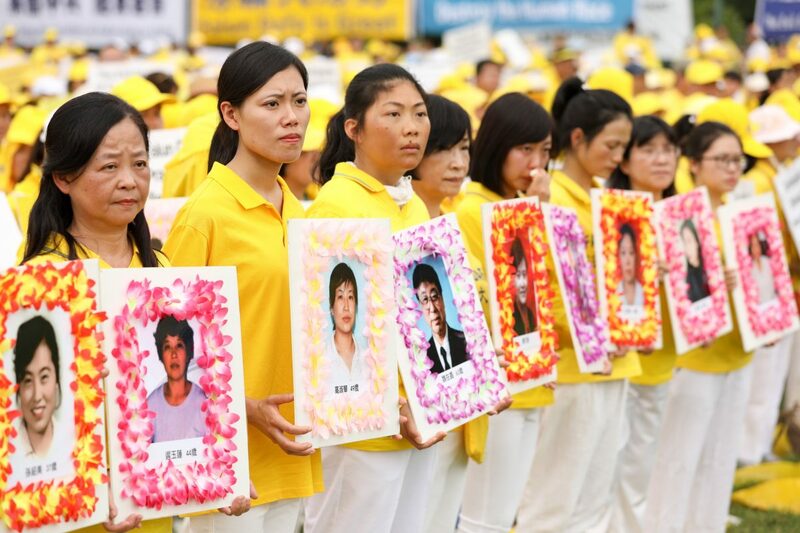 He launched a nationwide campaign to round up practitioners en masse and built brainwashing centers and labor camps to try to force them to renounce their beliefs. The march, which organizers said had up to 5,000 people, started at Capitol Hill and wound along Pennsylvania Avenue, past the White House, to finish at the Washington Monument. 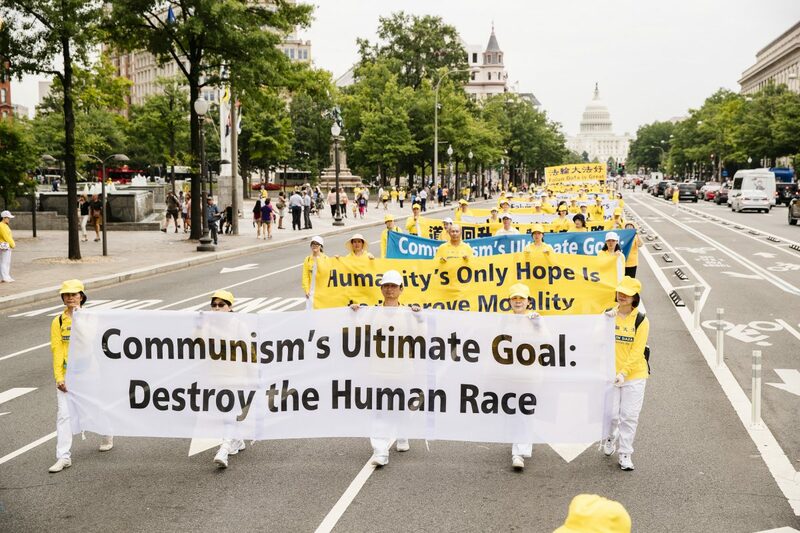 This year, the march has taken on a special meaning, said Frank Lee, spokesman for the event organizer, Falun Dafa Association of Washington, D.C.
Aside from being a platform to showcase Falun Dafa and call out the Chinese regime, this year the march is calling out communism itself. 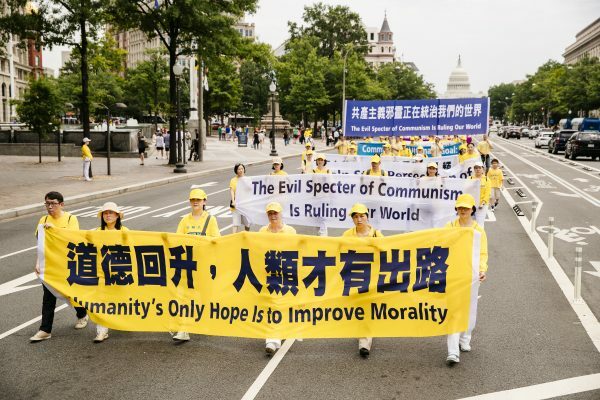 Lee and other Falun Dafa practitioners who hail from China are well versed on how communist ideology can destroy a culture. Now, he says, it has permeated the whole world, but in a more invisible, insidious way than the violent revolution used in China. He said political correctness is a prime example of how communism can take hold. He said anyone who lived through the Cultural Revolution in China (1966–1976) is very familiar with how political correctness can overtake a society. “It’s really a way of controlling people from thinking and speaking freely and independently—a set of guidelines of what to say and what not to say,” he said. Chris Cheng, a business development manager in Minneapolis, moved to the United States from China in 2001. He said he notices the influence of communism in the United States. Walter Reissmann, a psychotherapist from Germany, said he believes the core of communism is to destroy religion. Lee said the antidote to communism is to return to morality and tradition. “Morality and tradition, in many ways, teach people how to be human, and therefore we can understand the teachings from the divine,” he said. 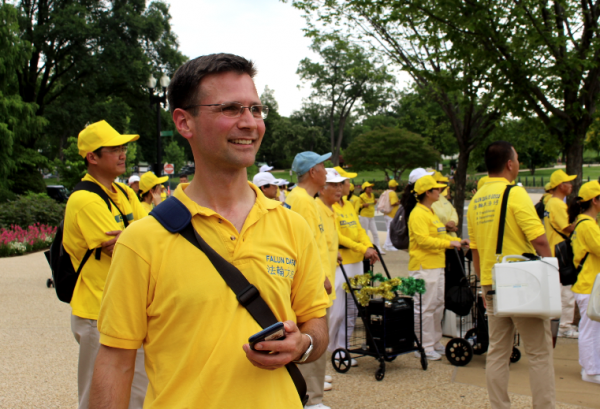 Joel Chipkar, who traveled from Toronto to join the march, started practicing Falun Dafa 20 years ago, before the Chinese regime started persecuting it. “Morality is the foundation of human beings. If we don’t have morality, then we’re just animals,” Chipkar said. 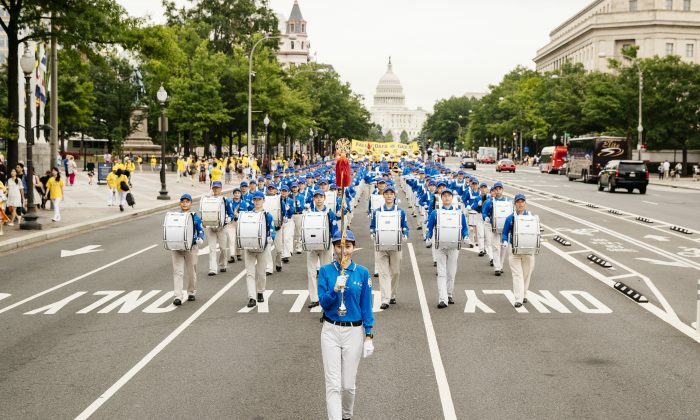 Lee said the strong anti-communist messages in the parade don’t mean Falun Dafa has turned into a political movement. He said he hopes the march helped people learn about the atrocities happening in China as well as the evils of communism in general. “If you’re not able to do anything to directly help stop the persecution, at least you can tell the people around you about this terrible, horrible persecution that’s happening in China,” he said. With reporting by Paula Liu, May Ning, and Nan Su.